Tim Gilmore is starting to look like my favorite professional point guard Deron Williams, 6’3”, 208. That is if 17 year old Gilmore is serious in the weight room, he could add 18 pounds of muscle and he would be Deron’s size. Is he as good as Deron? Nope. He has the body structure but now he needs to learn to upgrade his guard play. He graduated from Palmdale High School this year with the following following statistics; 13.5 ppg, 2.1 apg, 5.8 rpg, 2.1 steals. Tim was the biggest player on the team so he had to play against bigger stronger competition at multiple positions. Now, he’s back home in the back court. Gilmore is strong enough to drive the lane and put that ball in the basket against the Bigs. He currently is a streaky 3 point shooter. When Tim solidifies his shooting mechanics, he will be a scary competitor. Can’t wait to see how his ball handling skills fare against a defensive ball hawk. He runs the floor well and is improving on his decision making processes. So what are Tim’s goals? He wants to major in Sports Medicine, play D-1 basketball and get his degree and let basketball take him as far as he can go. Tim has all of the physical attributes to play D-1 college basketball. He just needs the time, patience, and drive to hone his skills. Oh yes, don’t forget the academics. 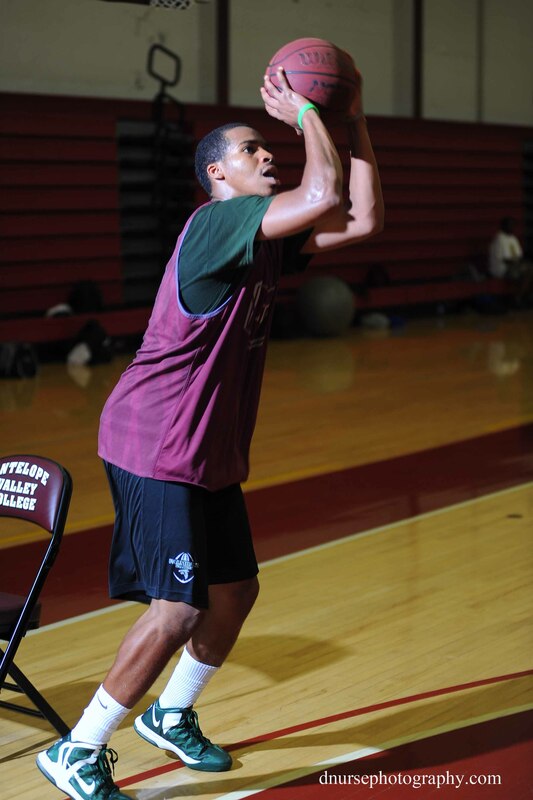 Depending on how rapidly he improves, Tim Gilmore could be the “sleeper” of the year for Antelope Valley College’s basketball team.